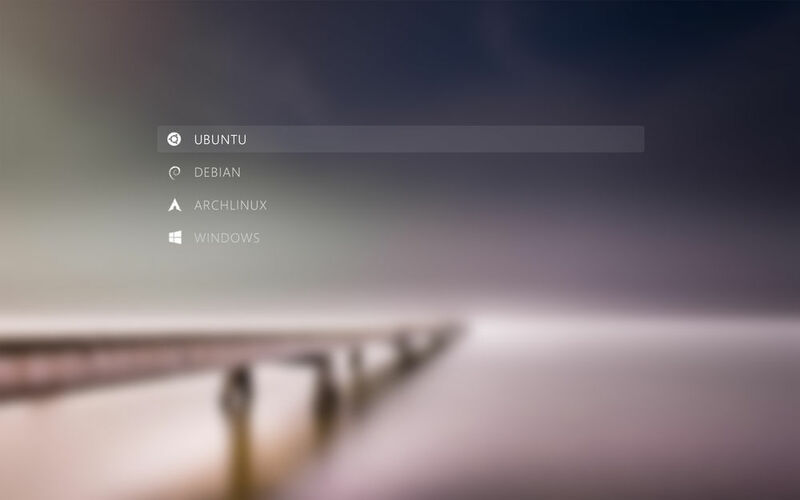 Boring with the default Grub2 boot loader appearance? 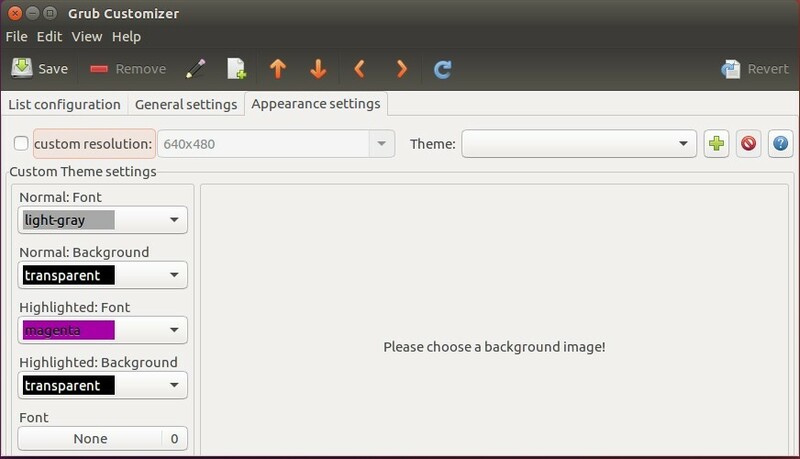 Besides switching to Burg boot-loader, you can change the look and feel via the Vimix-grub-theme. 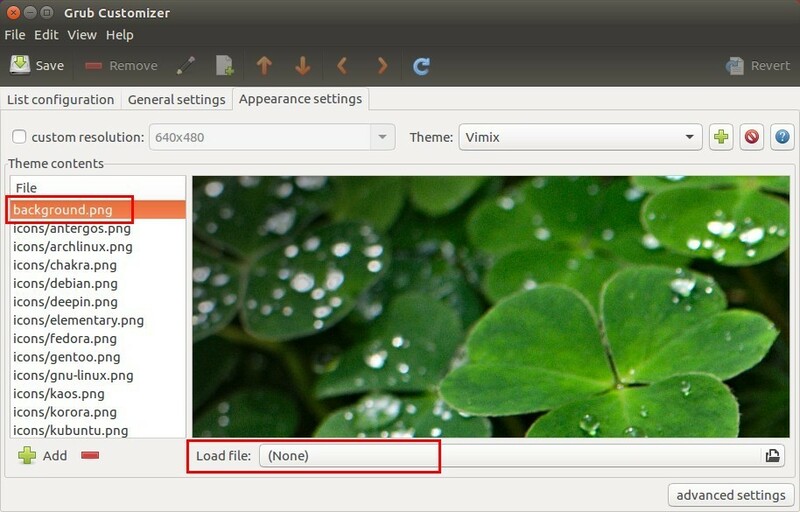 The theme is designed by vinceliuice, the man behind Vimix GTK theme. 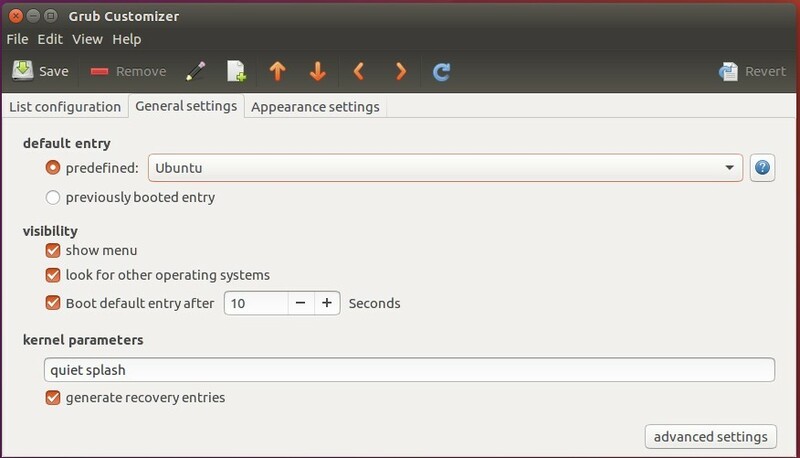 He made a .deb installer and published it in a Chinese cloud service. Then restart and see result! 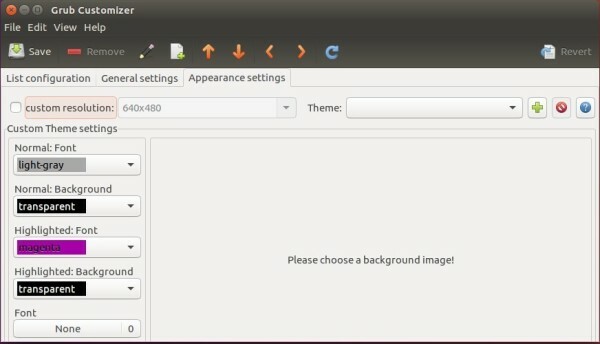 navigate to Appearance settings tab. 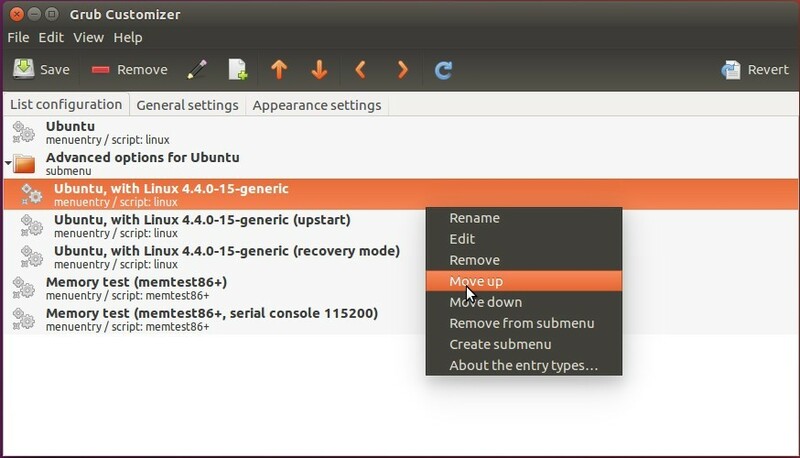 finally click Save button in Grub Customizer. 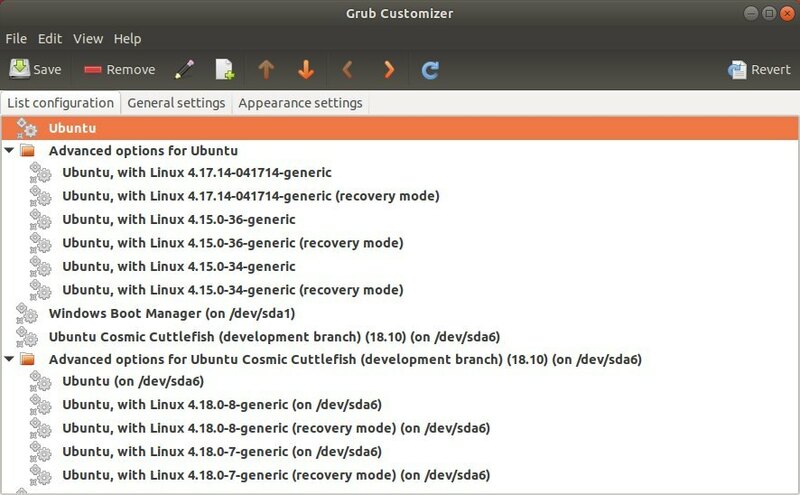 Also remove useless Grub menu entries via the first tab in Grub-Customizer if you have multiple Linux Kernels. 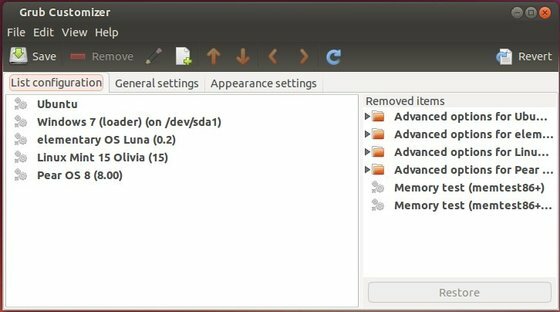 Don’t use the “Memory Test”, “Recovery Mode”, “Advanced Options” entries in your Grub bootloader? 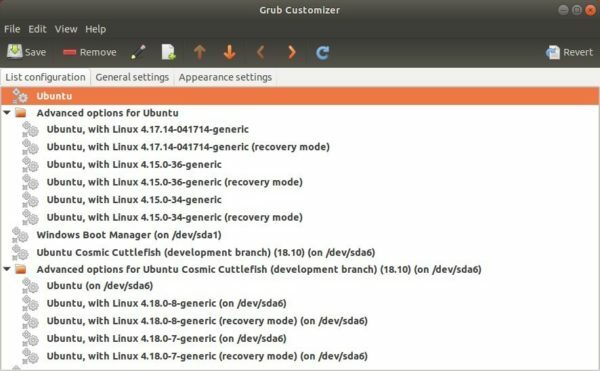 Well, you may remove them to make your Grub Menu clean. It’s hard to do this thing by editing the config files. 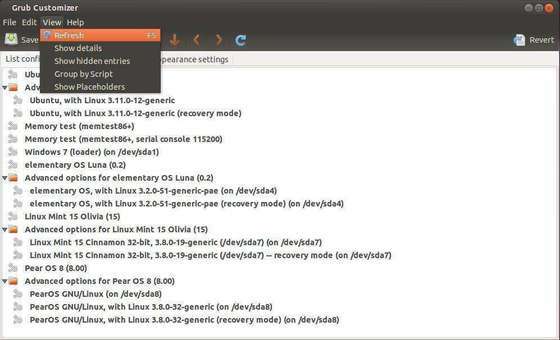 Fortunately, there’s a simple graphical tool that helps you manage Grub2 on Ubuntu and its derivatives. Once installed, open it from Dash or Menu and you’re able to edit the entries simply by a few mouse clicks. Click Save button and you’ll see the changes at next boot!